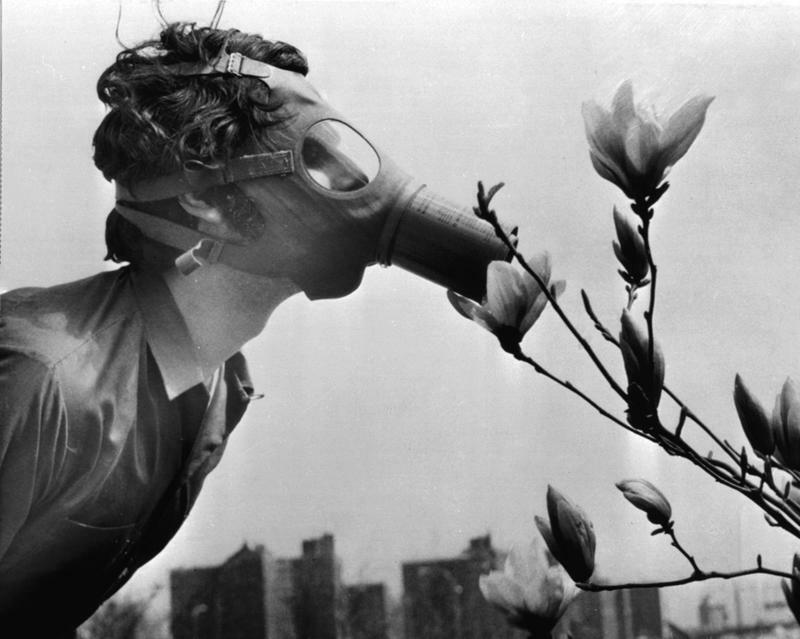 A Pace College student in a gas mask "smells" a magnolia blossom in City Hall Park on Earth Day, April 22, 1970, in New York. BOB GARFIELD: And I’m Bob Garfield. One of the key aims of the White House and the Republican-led Congress in recent months has been to roll back regulations deemed costly and detrimental to business. Nowhere has the axe come down harder than on environmental rules. SCOTT PRUITT: You know, what we have to remember when it comes to environmental agreements and international agreements, with respect to things like the Paris Agreement is we have nothing to be apologetic about as a country. BOB GARFIELD: That was EPA chief and climate denier Scott Pruitt on the intent to pull the US out of the biggest international climate agreement in decades. In some ways, the Paris pullout was — you should excuse the expression — the tip of the iceberg because the Trump administration had already canceled the Obama environmental initiatives needed to meet Paris's goals. And the administration isn't done. MALE CORRESPONDENT: The head of the Environmental Protection Agency, Scott Pruitt, has launched a formal process to review and challenge mainstream climate science. FEMALE CORRESPONDENT: The Environmental Protection Agency plans to cut more than 1200 jobs. President Donald Trump’s administration proposed a 31% cut to the agency's budget. BOB GARFIELD: Quite the contrast to Ronald Reagan's approach during his second White House run in 1984. RONALD REAGAN: The White House recognizes that the environment is a very potentially strong election-year issue. It doesn’t cut both ways like an abortion issue, where any stand you take can lose you as many voters as it wins. It’s held strongly and dearly by a lot of people. BROOKE GLADSTONE: So how did we get here? How did protecting the environment go from an issue of near universal concern to a political football? And how did the EPA, an agency created by a Republican president, become, in the eyes of the GOP, a job killer? You got to go back to the late ‘60s. When you travel on the highway, look around on either side. Just one glance and you’ll see how the country’s lost its pride. BROOKE GLADSTONE: In 1966, dozens in New York City died from oppressive smog, over a single weekend. And other cities suffered too. In 1969, the Santa Barbara oil spill released an estimated 3 million gallons of crude oil into the ocean, damaged sea life and spoiled California beaches. MALE CORRESPONDENT: This is a view inside Santa Barbara Harbor, showing pleasure boats that have turned black above their waterlines, where the crude oil lapped up against their hulls. The oil slick fouled nearly 50 kilometers of coastline. BROOKE GLADSTONE: Polluted waterways were clogged with flammable goo. MALE CORRESPONDENT: The Cuyahoga River in Ohio is so loaded with the waste products of petroleum distillation that it is actually in danger of catching fire. BROOKE GLADSTONE: In fact, fires on Cleveland’s Cuyahoga River weren’t rare but a 1969 blaze caught the country’s attention. Randy Newman penned an ironic serenade. BROOKE GLADSTONE: It was a time of noxious, visible pollution. People cared. Nixon noticed. PRESIDENT RICHARD NIXON: The great question of the ‘70s is: Shall we surrender to our surroundings or shall we make our peace with nature and begin to make reparations for the damage we have done to our air, to our land and to our water? BROOKE GLADSTONE: Beset by protests over the Vietnam War, civil rights and women's rights, Nixon was in a bind. RICHARD ANDREWS: And he saw environment as an opportunity to jump in front of this mob coming toward him and call it a parade. BROOKE GLADSTONE: Richard Andrews is Professor Emeritus of Environmental Policy at the University of North Carolina at Chapel Hill. RICHARD ANDREWS: The environment was just a dramatically popular cause four months into that period, into the 1970s. In April came the first Earth Day. And it’s hard for people, people to — today to really imagine how big a celebration that, and it was a celebration, not just an angry protest. WALTER CRONKITE: Good evening. A unique day in American history is ending, a day set aside for a nationwide outpouring of mankind seeking its own survival. Earth Day. RICHARD ANDREWS: There were demonstrations, there were projects. There were things that really added up to the biggest nationwide celebrations since the celebrations at the end of World War II. MALE CORRESPONDENT: And in Washington, the dire warning of civil rights leader James Farmer, at the time a Nixon administration official. JAMES FARMER: We all have a stake, equally because if we do not save the environment and save the Earth, then whatever we do in civil rights or in a war against poverty will be of no meaning, because then we will have the equality of extinction and the brotherhood of the grave. BROOKE GLADSTONE: Nixon had no environmental policy when he entered office but he grabbed one quick. RICHARD ANDREWS: Then he started doing a lot of things administratively to use the president’s power to reorganize government, which existed at that time, to create the EPA, to pull together these regulatory functions from the different agencies, put them into one place and put in charge of them Bill Ruckelshaus, a respected, aggressive prosecutor from Indiana, a Republican, somebody who believed in public service and enforcing the laws. WILLIAM RUCKELSHAUS: My feeling was that what we needed to do at EPA was convince the public that we were serious about protecting their health primarily and protecting the environment. BROOKE GLADSTONE: William Ruckelshaus, founding administrator of the EPA. WILLIAM RUCKELSHAUS: So we filed a number of enforcement actions. We sued, in one day, Cleveland, Atlanta and Detroit, filed actions against big corporations to get them moving toward compliance, to convince them that the government was serious about carrying out the public's wishes. BROOKE GLADSTONE: Did you, yourself, have any particularly strong feelings about the environment when you got pulled into the EPA? WILLIAM RUCKELSHAUS: Oh yes, I did. I had seen it already in my home state of Indiana, that absent any government interference not much was going to happen, no matter how bad the situation got. You couldn’t rely on the individual causing the pollution to take steps themselves without being pushed by the government on a more or less common basis with their competitors. BROOKE GLADSTONE: So when you say you saw it happening in Indiana, what were you seeing? WILLIAM RUCKELSHAUS: Seeing people that were grossly polluting the water and the air, discharging raw sewage into the rivers. It was very clear that something needed to be done. Having attempted to regulate industry from the state, doing that alone in that one state was not going to do it because they would move someplace else. In fact, George Wallace, who was then the governor of Alabama, would take out ads in the Indianapolis newspapers saying, come on down to Alabama, we need jobs. We don’t care about the environment. BROOKE GLADSTONE: But because the EPA established an idea known as “environmental federalism,” it could set national requirements in Washington and leave it to the states to enforce them. Richard Andrews. - that the states could then say, you know, we have to do this, all the other states have to do it, EPA’s making us do it. And if we don't do it, then the EPA is the backup to do it itself. And surely, Mr. CEO of one of our in-state corporations, you wouldn’t want the EPA to be doing this directly to you. BROOKE GLADSTONE: And, in fact, the EPA had ten regional offices, still has. BROOKE GLADSTONE: Half of the EPA staff is out in these offices? RICHARD ANDREWS: Yes, partly overseeing but really also partly sort of backing up and assisting the states. They’ve built enormous capacity at the state level in many states, although their philosophies under different governors vary about how tough they want to be. BROOKE GLADSTONE: Back to the Nixon era, a bit of a tangent, but during the fallout from Watergate in 1973, William Ruckelshaus was shuffled around, first as acting director of the FBI and then deputy attorney general. WILLIAM RUCKELSHAUS: I was only there as deputy for about 23 days before we got involved in a squabble with the White House and the President over Archibald Cox. BROOKE GLADSTONE: The independent prosecutor appointed by the Justice Department to investigate Watergate. Nixon wanted Attorney General Elliot Richardson to fire Cox. Richardson quit, in protest. Then the President ordered Ruckelshaus to fire Cox. 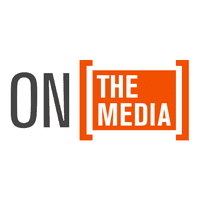 MALE CORRESPONDENT: Richardson’s deputy, William Ruckelshaus, has been fired. Ruckelshaus refused, in a moment of constitutional drama, to obey a presidential order to fire the special Watergate prosecutor. BROOKE GLADSTONE: The events became known as the “Saturday Night Massacre.” Afterward, Ruckelshaus took a break from government. In the meantime, the ‘70s saw the rise of deregulation, from airlines to stock markets to telephone companies, and not just under Republicans, Jimmy Carter, too. But Richard Andrews said it was Reagan who expanded that philosophy to environmental protections. BROOKE GLADSTONE: Reagan nominated Anne Gorsuch Burford as the EPA administrator. Incidentally, her son Neil is Trump’s Supreme Court nominee. Anne Gorsuch, and most of Reagan's other EPA appointees, had no experience in environmental regulation, and so the EPA was blasted for supporting polluters over people and mishandling the Superfund program created to clean up toxic waste. MALE CORRESPONDENT: Critics charge Superfund hasn’t been used enough because of political delays or because EPA has been too easy on the industries which polluted. Political delays? Example, The Stringfellow Acid Pits, where not a penny of the federal Superfund has been spent yet. BROOKE GLADSTONE: More than 20 EPA officials resigned or were fired from the agency. Public outcry led to congressional investigations and the head of the Superfund account went to prison. WILLIAM RUCKELSHAUS: Well, the public was riled up. They were mad, they were angry. They believed that this agency created to protect the environment and their health was being undercut, so they demanded change. BROOKE GLADSTONE: Once again, in the midst of public outcry, Ruckelshaus was asked to run the EPA by a president backed into a corner. When he returned to Washington, he was free to repair the tattered agency any way he saw fit. So, so these were people that had been there before that I’d kept in touch with and we straightened it out in a, in a big hurry. BROOKE GLADSTONE: You mean, you didn’t want to “drain the swamp” of all those experienced bureaucrats? WILLIAM RUCKELSHAUS: We didn’t think of it as a swamp. It was a wetland, which is to be preserved. BROOKE GLADSTONE: [LAUGHS] You wrote in The New York Times this week that as you were awaiting Senate confirmation for becoming the EPA chief the second time, you had conversations with the execs at chemical companies that stunned you. They were worried about the EPA having been gutted. WILLIAM RUCKELSHAUS: Yes, they really were. This group of chemical manufacturers, which were heavily regulated by EPA, asked to see me, and I assumed they were going to complain about overregulation. WILLIAM RUCKELSHAUS: Yeah, everybody was [LAUGHS] complaining then. They came in and said just the opposite, that they had no credibility with the public, that the agency charged with regulating their conduct had essentially been eliminated, as far as the public was concerned, and that I needed to get in there and start regulating and start showing that the government was serious about protecting public health and the environment. BROOKE GLADSTONE: What were they afraid was going to happen if the public couldn't trust them or the EPA? WILLIAM RUCKELSHAUS: Then the public will turn on them and take away their license to operate. And they were finding that they had so little support from the public, even from their own employees, that the government needed to step in and say, we’re going to protect your health, we’re going to keep you safe. They requested that. You need an agency there to ensure that the rules are followed, that the rules are clear and, and fair and protect the public. BROOKE GLADSTONE: Clean and fair rules but not too many. In the mid-‘80s, a Democratic Congress overcorrected for Reagan's cuts by writing environmental laws that directed the EPA to issue a certain number of new requirements a year. And this, according to Richard Andrews, is when the EPA's reputation began to sour. RICHARD ANDREWS: We’d already regulated the big companies, and so now we were doing things like regulating drinking water and underground storage tanks and things that hit much more heavily on small businesses and local governments. BROOKE GLADSTONE: But still, this issue remained bipartisan for a time. RICHARD ANDREWS: The first President Bush made maybe the last serious effort to really define himself as a Republican environmentalist president. PRESIDENT H. W. BUSH: I don't have to tell those of you who are hunters and fishermen how important the wetlands are as a habitat for fish and ducks and geese and other water fowl, but they also help control flooding. RICHARD ANDREWS: In 1990, he spearheaded the Clean Air Act amendments that gave us cap and trade for sulfur and nitrogen, really one of the most effective innovations in environmental policy we've seen since the 1970s. But, in 1992, he was then beaten by Clinton running with Al Gore, who was clearly identified as an environmentalist. AL GORE: Saving the Earth’s environment must and will become the central organizing principle of the post-Cold War world. RICHARD ANDREWS: Over these several events, the Republican Party generally decided that no matter how much they tried to burnish their environment credentials, there would always be some Democratic opponent who would push for more government action than they were comfortable with as a party. And so, they began to dig in deeper with the anti-environment constituencies, and so forth, while the Democrats, in turn, said, okay, this is our winning issue and the environmental groups can be our ground-level support troops, sort of like teachers, and so. My own assessment is I think it's unfortunate that environment has sort of been captured by this increasingly polarized partisan dynamic as a big government issue. PRESIDENT DONALD TRUMP: My first day in office, I'm also going to order a review of every single regulation issued over the last ten years! All needless job-killing regulations will be canceled. BROOKE GLADSTONE: Do you have a sense of déjà vu? WILLIAM RUCKELSHAUS: Well, it’s hard not to. People in EPA are afraid. They’re afraid they’re going to lose their jobs, that they’re going to lose their ability to function as they believe they should. And I would guess that their fear is justified. BROOKE GLADSTONE: What do you think the EPA’s number-one priority should be now? WILLIAM RUCKELSHAUS: Well, I think they should do their job. I think they should do a better job of communicating with the public as to what they’re doing and why they’re relevant to their lives. And the EPA doesn't have a whole lot of constituencies. There’s not people who say, my favorite agency in the government is the Environmental Protection Agency. Quite the contrary. I also think that there are some legitimate criticisms of EPA. Sometimes regulators and inspectors get arrogant. They push people around unnecessarily. They need to be firm and they need to be fair but, at the same time, they need to recognize that a lot of the people they’re dealing with are their customers, and they’ve got to be better at convincing people that they really are on their side. I think also EPA can make some better choices, in terms of what they really focus on. It would be a tragedy for this country to drop out of paying attention and taking a leadership role in dealing with climate change. See, if EPA were to go away, the ability to deal with climate change by our government would be severely compromised. BROOKE GLADSTONE: Why do you think then that so many congressmen and senators in the GOP are climate change deniers or agnostics? WILLIAM RUCKELSHAUS: Well, it’s a number of factors. I think part of it’s religious, in the sense that the climate of the world is pretty much predicted by events that will occur in the future by the Bible. BROOKE GLADSTONE: Bur weren’t they just as religious under Nixon and Reagan? WILLIAM RUCKELSHAUS: Yes but they weren’t as politically organized. Pollution was smell, touch and feel kind of stuff. You could see it. WILLIAM RUCKELSHAUS: So you didn’t need to be told it was, it was either coming as part of some biblical revelation. It was, it was there. Climate change is a gradual kind of problem that religiously you can explain it in terms of something that’s gonna happen anyway, so why worry about it? WILLIAM RUCKELSHAUS: And there are concerted efforts on the part of the fossil fuel industry, scientists that they hire who will contest the overwhelming number of scientists who say climate change is real and it's coming at an accelerated rate and that we need to do something about controlling carbon and other gases that cause climate change. If we don't do that, then we have to adapt to it and that’s a lot more expensive than trying to mitigate it. BROOKE GLADSTONE: There was a Pew poll last year that found that most Americans, 74%, say that the country should do whatever it takes to protect the environment. But, in terms of priorities, the environment ranks below issues like the economy and terrorism. It's almost as if the public is saying, hey, could you just take care of this but, you know, don't make a big fuss about it? WILLIAM RUCKELSHAUS: That’s about right. They say, get to it but it’s not our first priority. In fact, when the economy is in trouble, it usually drops down to about the last priority, They think we can get at that when it’s – everything else is in good shape. BROOKE GLADSTONE: So where does this leave the EPA? WILLIAM RUCKELSHAUS: Unless the public rises up and tells their congressmen we won’t stand for this, then it will continue to deteriorate in terms of its effectiveness. I think people have to make their voices heard, as they are supposed to in a democracy. If they do it, they can stop this deterioration of regulation necessary to protect their health but if they don’t, then it’ll continue and we’ll be in real trouble. BROOKE GLADSTONE: William Ruckelshaus, founding director and then reconstructor of the EPA under Presidents Nixon and Reagan. BOB GARFIELD: Coming up, the environmental disasters you see, the ones you don’t and the ones that are just too hard to describe.